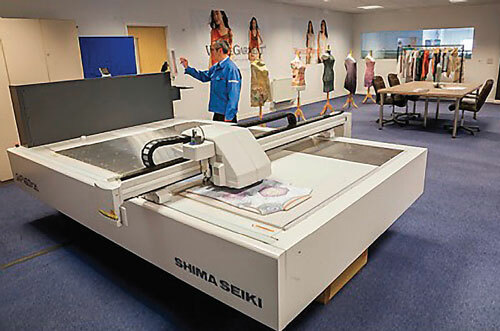 Grand-format ink-jet printers have the capability of printing widths of up to 3.2 meters with the primary market intended for printed sheeting and top-of-bed. Three companies produce grand-format printers: MS Printing Solutions; Freemont, Calif.-based EFI Reggiani; and Italy-based Durst Phototechnik AG. 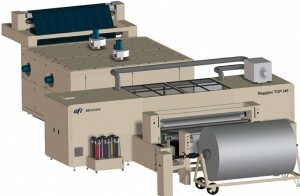 MS produces the JPK and Lario in a 3.2-meter print capacity. More than 100 JPKs have been installed worldwide over the past two years, and one 3.2-meter-wide Lario is installed in Turkey. EFI Reggiani makes The Top printer in both 1.8-meter- and 2.88-meter-widths. 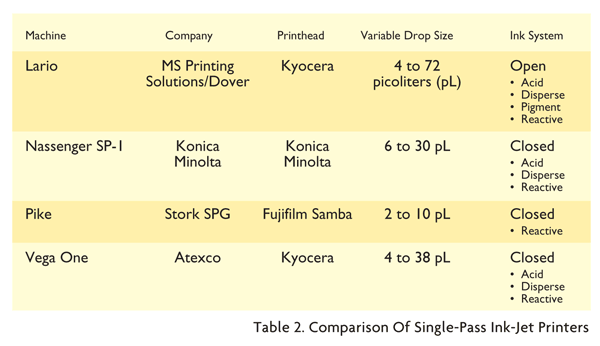 The Top can be used with acid, disperse, reactive, sublimation and pigmented inks.